The upgraded cousin to our Fredericksburg Amish Mission Rocker, this Amish Mission Glider has such a comfortable cushion and glides so smoothly, you might think you are gliding on the clouds. 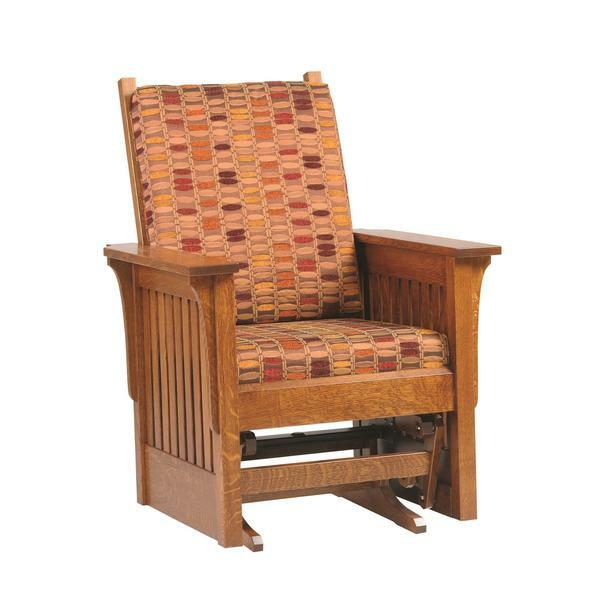 Solid hardwood construction by skilled Amish woodworkers give this glider the ability to last for generations! This Mission Glider Chair comes standard with only the option to glide as you sit but you can also upgrade to a swivel so you can easily turn around.